Lately we become dreaming of ruffles….. yes Sugar ruffles. Cake and Ruffles…… We have a few new designs in the works but check out these two sweet cakes. Classic and fun Yellow and Gray colors for a wedding……….. 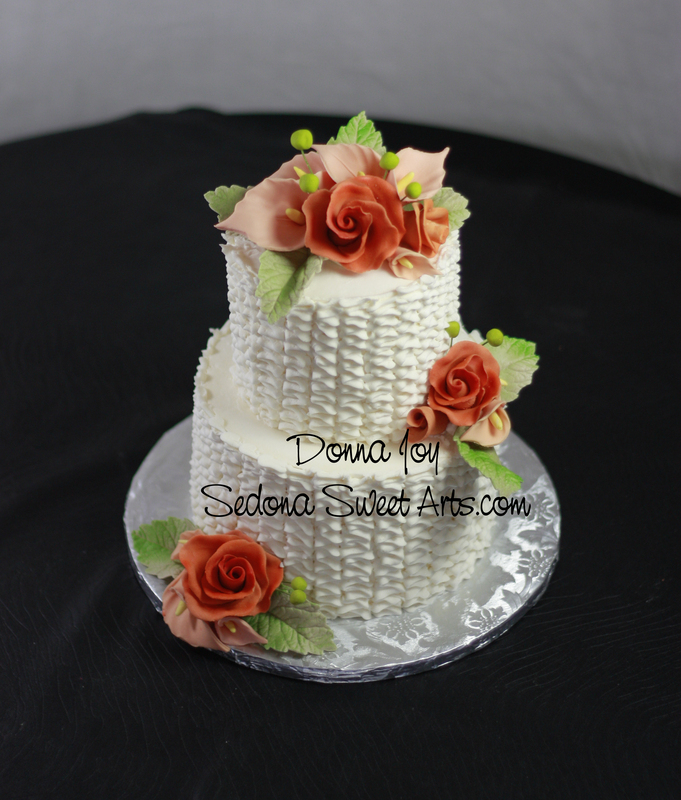 Check out all the fondant gray ruffle cascading the cake. I love this cake! Ruffles run up the sides of cake. Then it adorned with hand sculpted sugar flowers by Pastry chef and Culinary Artist Donna Joy. Don’t you love the texture of the cake? Sedona Sweet Arts is always coming up with new cake designs check out their web site or “like” them on facebook to keep up with new designs.